Customers don’t usually buy a product the first time they hear about or see it. In fact, today’s digitally-empowered customer is likely to compare prices on their smart phone than to make an in-store impulse buy. To compete in retail today, you’ve got to be two steps ahead of the Amazons that are out to eat your lunch. Even if you have the data, connecting the dots of the omnichannel customer journey can be a challenge. Most platforms are good at tracking aggregate data, but when it comes to tracking point-to-point purchasing patterns of individual consumers, not so much. 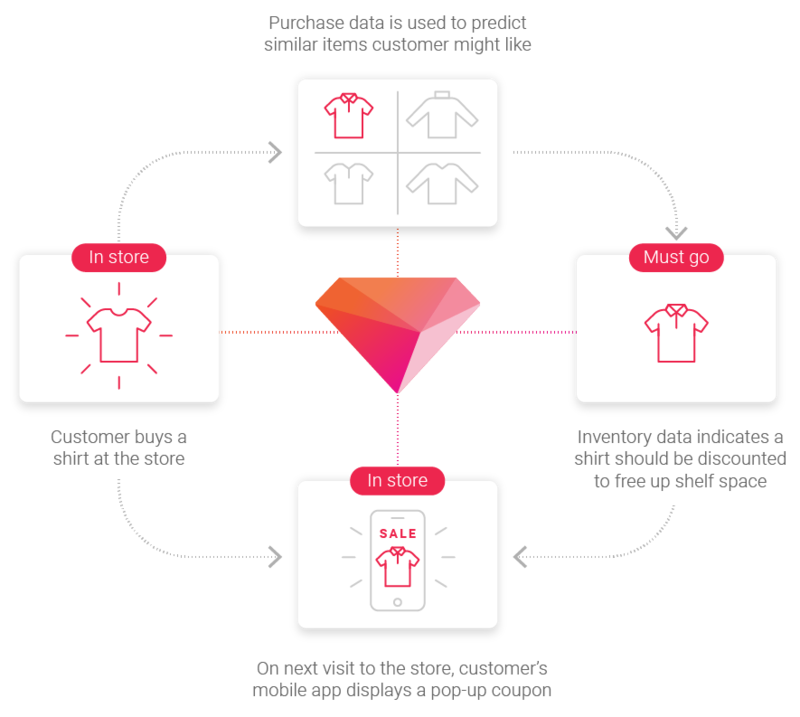 That’s why, increasingly, retailers are turning to Customer Data Platforms like Treasure Data. Treasure Data automatically unifies online, in-store, IoT, supply chain and mobile application customer data, makes each customer uniquely identifiable, and makes it easy to activate your data, for omnichannel retail analytics you can actually use. If so, we’d like to invite you to find out more about Treasure Data. Treasure Data is a Live Data Management platform that automatically connects and unifies customer data from any source, allows you to grant access to anyone, and gives you tools to activate your data through advanced analytics, machine learning and workflow automation. It’s like plugging a cutting-edge team of data engineers into your enterprise. Live Data Management adds entire new feature sets to Adobe Marketing Cloud, making it a full-fledged Customer Data Platform. And with over a hundred easy-to-use data connectors, Treasure Data does the same with all your CRM, SaaS, marketing automation, email, sales operations, and BI tools.